I want to start by saying that we are an agent for Pfaff Sewing Machines, but that this is not going to be a ‘fluff piece’ I want to write an honest review of these two machines. Why Passport? 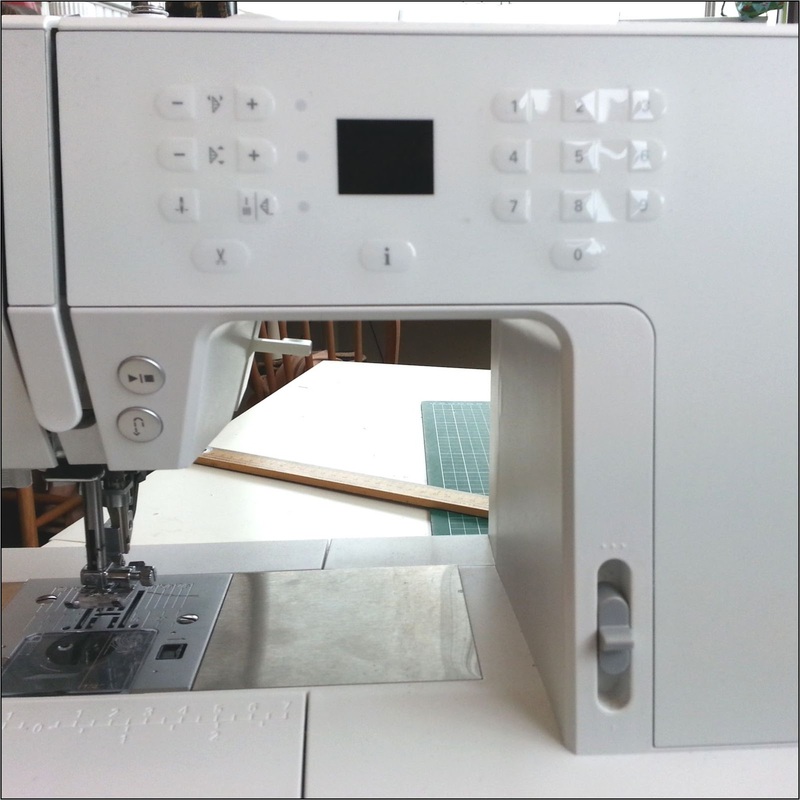 Pfaff have designed both of these machines to be easy to move around – taking them to a class for example, so passport means having the ‘license to venture out in the world and discover new ways and new places to sew’ (straight from the brochure!). The difference between the Passport 2.0 and 3.0 is quite simple, the 2.0 has a black facia, the 3.0 is white. In addition to all of the features of the 2.0, the 3.0 has 30 extra decorative stitches and thread snips (i.e. you press the button and both threads are pulled under the fabric and cut off – great if you are working on a large project as you can just pull the fabric away from the machine). It is worth saying that both machines are not heavy (6.3kgs or so) and come with a hard case with a slot for your foot pedal and power lead – a really nice touch and not one we have seen much elsewhere. What is IDT? IDT stands for (Integrated Dual Feed), in normal language it is a permanent walking foot, which can be engaged and disengaged in a couple of seconds. 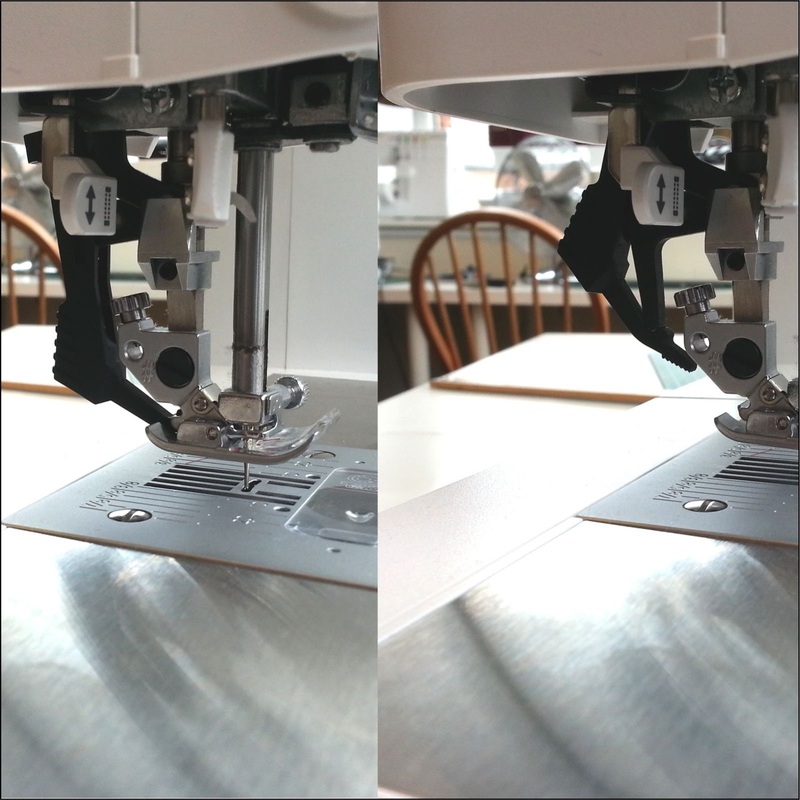 Having this gives you controlled, no-slip sewing because the fabric is fed evenly from both top and bottom. Brilliant for patchwork and for dressmaking (really neat seams!). You can also use IDT with a number of feet (e.g. the standard zip foot). It is one of the main reasons we wanted to be an agent for Pfaff in the first place. Enough of the background – how does the Passport feel in use. Overall, really good, the Passport is a computerised machine so stitch lengths and widths can be easily adjusted, and replicated exactly time and again. We have used the Passport for patchwork, free-motion quiting, sewing with jersey and stretch fabrics, denim skirts, dressmaking with cotton, viscose, linen and silk (and others) and apart from making sure we are using the right needle and adjusting the foot pressure when needed, the Passport has handled them all with ease. The IDT is not a gimmick, it is really useful, helping you to sew great, flat seams and an even feed – no matter how slippery the fabric! Threading up is easy with the built in needle threader and the fact you don’t have to pull up the bottom thread – just thread up top and bottom and away you go. The immediate tie-off gives a really tidy finish to your sewing, no more hitting the reverse button to catch your thread. What can be an issue? Not much to be honest, we run classes just about every day and we have 4 Passport machines in use all the time. it is our workhorse and gets used by people of all abilities. What we have noticed is that the Passport is a top loading machine and, as with all top loading machines, the bobbin case can jump out of alignment, but this is easily fixed when you know what to do. Also (and this is not an issue with the machine as such) because of the IDT feature you cannot use feet from other machines, you have to use feet designed for an IDT machine. This could be a pain if you have built up a collection of feet from a previous machine but once you have used feet like the standard zip foot and the invisible zip foot on a Passport, I don’t think you will want to go back! Overall, I think the Passport is a great machine for someone who is getting serious about sewing, it has enough features to keep you happy for years of dressmaking, patchwork or crafting. So what do you do when the bobbin case pops out? Hi Lucy – sorry only just saw your comment. If the bobbin case moves, take off the needle plate and realign the bobbin case – there is a stop on the bobbin case that lines up with a metal clip in the bottom right hand corner – you will know when it is right when the bobbin case does not move when you turn the hand wheel. I just tried out both the 2.0 and the 3.0 Passport machines. I found the 2.0 to be much noisier than the 3.0. That’s odd, I’ve not noticed a difference but will go back and have another listen! Do either have the automatic foot up/down or is the foot lowered by a lever? Also, do most Pfaff feet fit these machines? I already have a Pfaff CV 5.0 and a Pfaff Ambition Essential — where most feet work with either, so having these smaller machines use the same feet would be beneficial as I have a great many already. Thanks! The presser foot is operated by a lever. IDT Pfaff feet will fit this machine. In reading the descriptions of Pfaff 2.0 and 3.0, it indicated an appliqué stitch for the 2.0, but did not for the 3.0. Does the 3.0 have this stitch as well? Hi, the 3 has all the stitches that the 2 has as well as 30 extra. Can the needle be moved to the right or left….by the millimeter? Hi, not sure if it is by the mm but you can move the needle by 28 increments – and as it is computerised you can repeat your chosen position time and again. Does the presser foot auto-lift when you take your foot off the sewing pedal? Hi, no it does not – nor does it have a knee lift (in case you were wondering!). How well does it handle multiple layers of thick fabric? Like 3 layers of terry, 2 layers of flannel and 1 layer of fleece all together? Or 5 layers of polar fleece? Thanks!!! The IDT really helps with these types of fabrics. We have sewn with terry a few times and never had a problem. Just want to mention that you will also need to use the right needle (realise you might know this!) as this have an impact on working with these fabrics. Also, terry produces a lot of fluff so you need to be aware that you should keep the machine clean otherwise this will affect performance in time. Thank you so much for the review of the 2.0 and 3.0. I’ve been in a quandary as to which to purchase. Think it will be the 3.0 now. Love the built-in dual feed of the Pfaff. My reason for sticking to Pfaff. Glad you liked the review – just a (gentle!) reminder we do sell these machines and we are happy to offer phone and email support on machines that we sell. Hi, they both weigh the same!